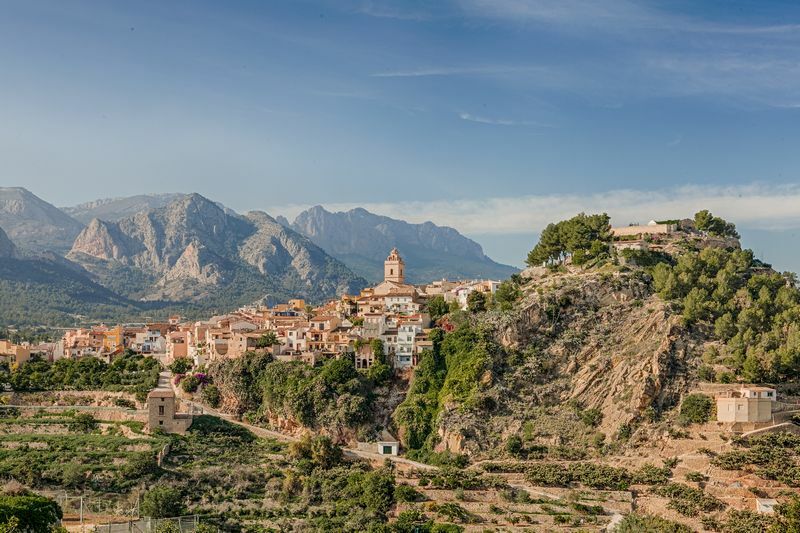 The village of Polop is located inland on the Costa Blanca North in an area known as Marina Alta. The local economy is based mainly on agriculture; so much of the surrounding countryside is covered in polythene to act as giant greenhouses. The village is a delight to explore and perfect for a morning or afternoon stroll. The hill, where the old castle used to be, is encircled by a medieval wall and is a ‘must’ to walk up. Follow the zig zag path and you’ll be well rewarded with some fabulous views. 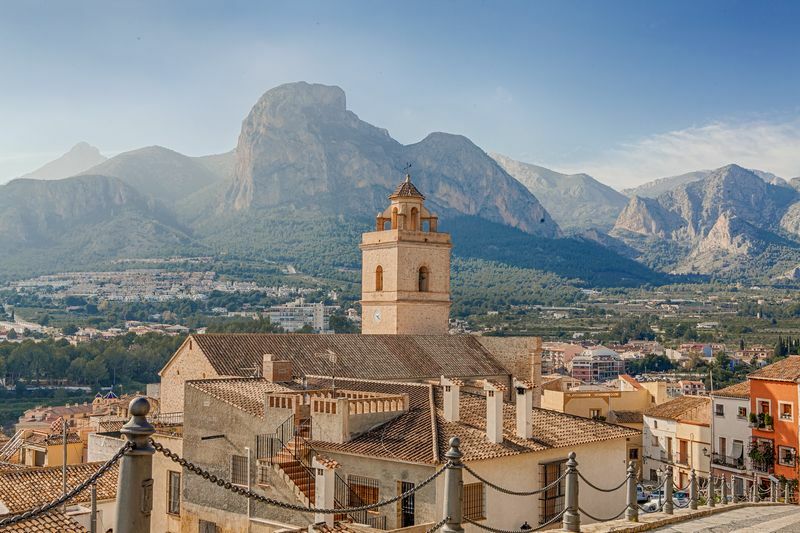 On a clear day you can see right to Albir and Altea on the coast and inland to Callosa and the Sierra Bernia. You’ll be able to make out the Leon Dormido – the sleeping lion mountain which sits behind Polop. Polop can easily be combined with the nearby resort of Benidorm. It provides a perfect contrast to the busy, commercial beaches of Benidorm. 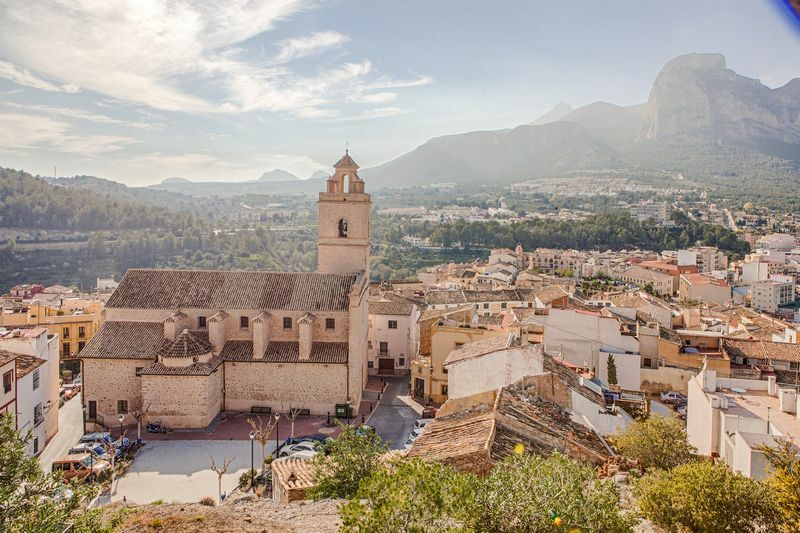 So, spend the morning exploring the village of Polop, then head to either Poniente or Levante beach for an afternoon of sun, sea and sand! 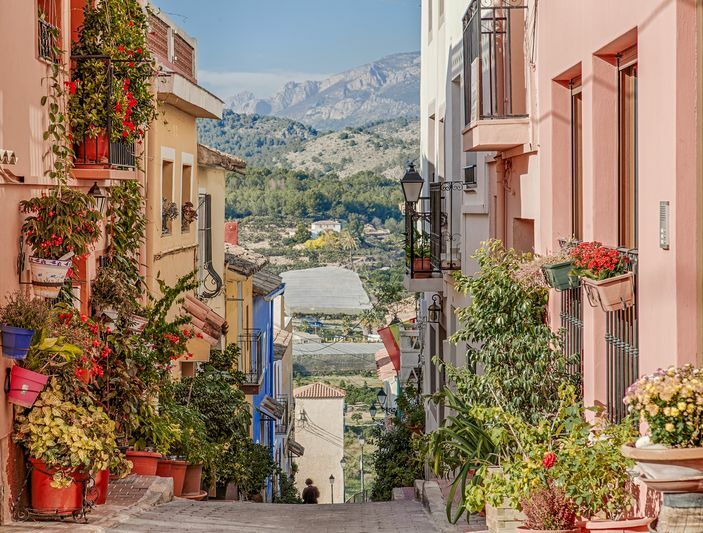 Spend the day exploring the stunning, historic, mountain top village of Guadalest. 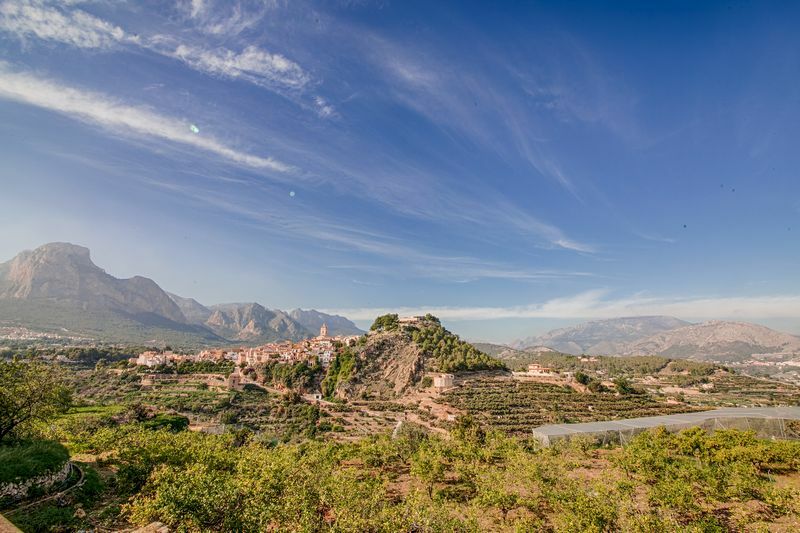 This tourist magnet is always busy, so stop off at Polop on the way home for a bit of peace and quiet to enjoy a cerveza or vino! Visit Polop for breakfast. 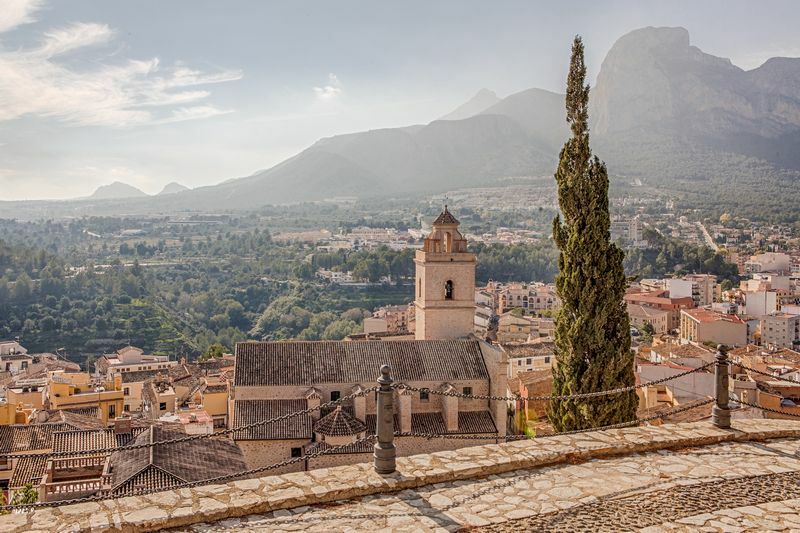 There are many bars and cafes to choose from and then head to the nearby waterfalls known as Fonts del Algar, for a day of splashing around in the river!